The system that we still use today for giving scientific names to plants and animals has many founders, from the Greek philosopher Aristotle to the Swedish physician and botanist Carolus Linnaeus. Taxonomy is the study of scientific classification, in particular the classification of living organisms according to their natural relationships. 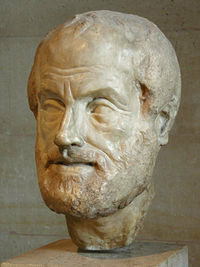 Taxonomy's first father was the philosopher Aristotle (384-322 BC), sometimes called the "father of science." It was Aristotle who first introduced the two key concepts of taxonomy as we practice it today: classification of oranisms by type and binomial definition. Aristotle was the first to attempt to classify all the kinds of animals in his History of Animals (Historia Animalium in Latin). He grouped the types of creatures according to their similarities: animals with blood and animals without blood, animals that live on water and animals that live on land. Aristotle's view of life was hierarchical. He assumed that creatures could be grouped in order from lowest to highest, with the human species being the highest. Subsequent commentators on Aristotle interpreted this as a "ladder of nature" (scala naturae) or a "Great Chain of Being," but these were not Aristotle's terms. His system of classification was not evolutionary, and the various species on the ladder had no specific genetic relationship to each other. Aristotle regarded the essence of species as fixed and unchanging, and this view persisted for the next two thousand years. His other innovation was binomial definition. "Binomial" means "two names," and according to this system each kind of organism can be defined by the two names of its "genus and difference." The word "genus" comes from the Greek root for "birth," and among its meanings are "family" and "race." Aristotle's notion of definition was to place every object in a family and then to differentiate it from the other members of that family by some unique characteristic. He defined humans, for example, as the "rational animal." This, according to Aristotelian thought, defines the essence of what it is to be human, as opposed to such pseudo-definitions as "featherless biped." But what Aristotle did not do was methodically use binomial definition in his system of biological classification. This innovation had to await the development of modern science after the Rennaissance. Aristotle's influence was profound and long-lasting. Much of his work has not survived to the present day, so that we don't know the details of his study of plants, but his student Theophrastus (372-287 BC) continued it, becoming known as the "father of botany." He is believed to have planted the first botanical garden on the grounds of Aristotle's Lyceum. Most of the text of his two botanical works, On Plants (De Historia Plantarum) and The Causes of Plants (De Causis Plantarum) still exists, although only in Latin translations. 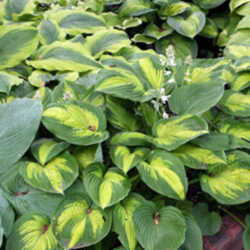 The first describes the anatomy of plants and classifies them into trees, shrubs, herbaceous perennials, and herbs. The second work discusses their propagation and growth and served in part as a practical guide to farmers and gardeners. However, he introduced no new principles of classification. After Aristotle, there was little innovation in the fields of the biological sciences until the 16th century AD. At this time, voyages of exploration were beginning to discover plants and animals new to Europeans, which excited the interest of natural philosophers, as scientists were then called. There was great interest in naming these new species and fitting them into the existing classifications, and this in turn led to new systems of classification. Many of the botanists of this period were also physicians, who were interested in the use of plants for producing medicines. 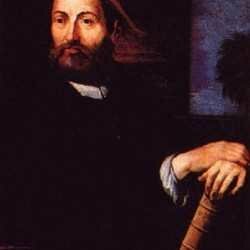 Andrea Cesalpino (1519-1603) was an Italian physician who created one of the first new systems of classifying plants since the time of Aristotle. He was a professor of materia medica, the study of the preparation of medicines from plants, at the University of Pisa, and was also in charge of the university's botanical garden. There, he wrote a series of works titled On Plants (De Plantis), detailing his system of classification. While his work was in large part based on the work of Aristotle and his successors, his innovation in basing his system of classifying plants on the basis of the structure of their fruits and seeds influenced subsequent scientists such as Linnaeus. 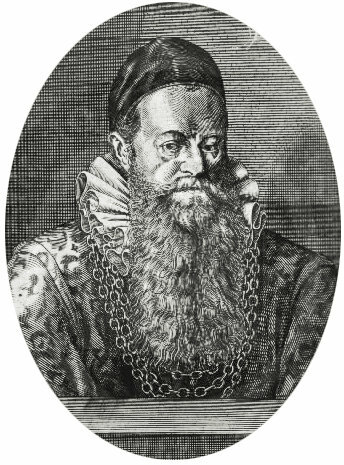 One botanist who was influenced by Cesalpino was Gaspard Bauhin (1560-1620), a Swiss physician and anatomist. In his 1623 Illustrated Exposition of Plants (Pinax Theatri Botanica), he described about six thousand species and gave them names based on their "natural affinities," grouping them into genus and species. He was thus the first scientist to use binomial nomenclature in classification of species, anticipating the work of Linnaeus. By the time Carl (Carolus) Linnaeus (1707-1778) was born, there were many systems of botanical classification in use, with new plants constantly being discovered and named. This, in fact, was the problem — there were too many inconsistent systems, and the same plant might have several different scientific names, according to different methods of classification. During his childhood, Linnaeus was so fond of collecting plants that he was known as "the little botanist." He later became a physician, as so many other early taxonomists did, but returned to botany as his primary study. He published his most innovative work as a young man in 1735. 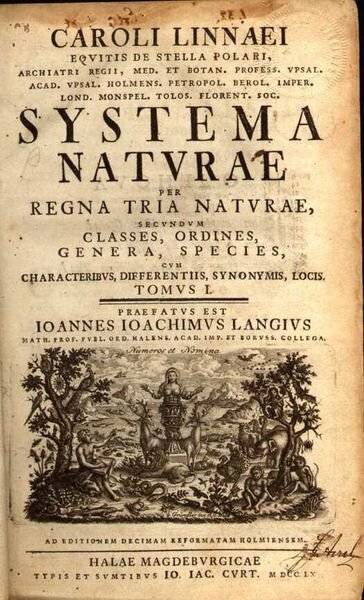 The System of Nature (Systema Naturae) is notable for an overall framework of classification that organized all plants and animals from the level of kingdoms all the way down to species. The full subtitle of its tenth edition was: System of nature through the three kingdoms of nature, according to classes, orders, genera and species, with characteristics, differences, synonyms, places. This system of classification, although greatly modified, is essentially the one we use today. 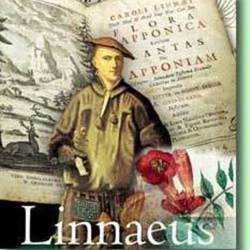 Linnaeus followed this work with The Genera of Plants and The Species of Plants, setting out a system of plant classification based on the structure of flower parts, in which he was influenced by Cesalpino. 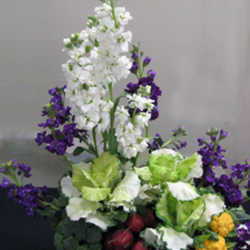 This method, in which plants were grouped together according to the number of stamens in their flowers, for example, was not accurate, but it was easy to use and thus readily adapted by scientists who were continually discovering more new varieties of plants. Linnaeus himself undertook much work in the field, and he was even more influential through his students, whom he sent around the world to gather specimens. His major works went through a great deal of revision in his lifetime, eliminating errors and coming closer to the system that was eventually adopted by taxonomists worldwide. His methods of classifying plants have been completely superseded by a deeper scientific understanding. Originally, Linnaeus had only used binomial nomenclature to classify plants, but he later extended this system to include animals and even minerals. There were also errors, subsequently corrected. At first, for example, he had placed the whales among the fishes, but later moved them into the mammals. He was also the first taxonomist to place humans among the primates (or Anthropomorpha) and to give them the binomen Homo sapiens. If Linnaeus is now considered the father of taxonomy, his success rested on the work of his predecessors. He was the first, in his System of Nature, to combine a hierarchical system of classification from kingdom to species with the method of binomial nomenclature, using it consistently to identify every species of both plants and animals then known to him. While he continued throughout his lifetime to revise and expand this great work, so his successors have continued to revise the principles of taxonomy, now according to genetic principles, informed by the analysis of DNA. So it always is with science: we stand on the shoulders of our predecessors, always reaching higher. The Taxonomic Conundrum Unraveled From Abelia to Zinnia: A Gardener's Introduction to the History and Origins of Botanical Plant Names Hosta an Asparagaceae? Are You Kidding?